Country music is full of stories that can make your eyes leak, and “I Can Only Imagine” is even more poignant because it really happened (at least in a cinematic sense.) 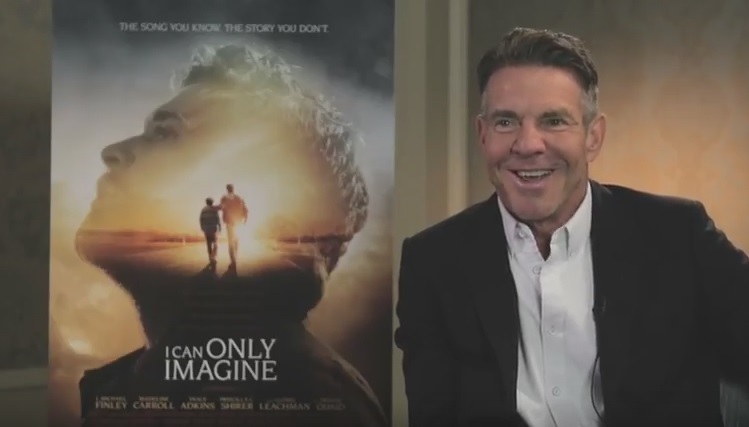 I sat down with one of the stars of the film, Dennis Quaid, to discuss, the movie, his character and never giving up on your dream. “I Can Only Imagine” hits theaters March 16.